The practice of archery has a long tradition in Korea, and with the recent Gold Medal wins for both the Men’s and Women’s archery teams in the Rio Olympic Games I thought I would share a little about its history. This is the eighth consecutive Gold Medal in the Olympics for the Korean Women’s Team since 1988. Wow, just wow, the pressure must have been intense. 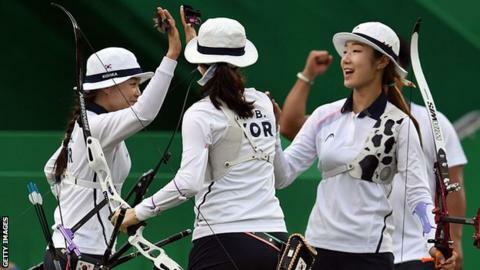 Note the Olympic team does not use traditional Korean bows, but standardized modern recurve bows. Modern compound bows are not yet allowed in Olympic competition. Civilizations from all around the world, except for Australia, developed and used archery, with the oldest extant bow being from Europe from around 8,000 years ago. The oldest known composite bow (made from a number of materials, not just a piece of one wood) was made by the Ancient Egyptians about 5,000 years ago, and records show that the Chinese were holding archery competitions during the Zhou Dynasty. (1027 – 256 BCE) Archery was much needed tool for many cultures and its invention has been compared to the use of fire and the invention of the wheel. Bows and arrows dramatically improved man’s ability to successfully hunt many animals and birds, thereby increasing the available food supply. They also are efficient for both attacking and defending oneself, so military use no doubt quickly followed their invention. Bows and arrows do vary from culture to culture and improvements in equipment and techniques have changed over time. Archery in the Kdrama Empress Ki. Archery has been used and enjoyed by Koreans for centuries. No one quite knows when archery was first practised on the Korean peninsula, but it has been posited that it was probably around 5,000 BCE. (Some Koreans give 500 BCE as first definitive proof of archery in Korea, but I have been unable to ascertain why.) 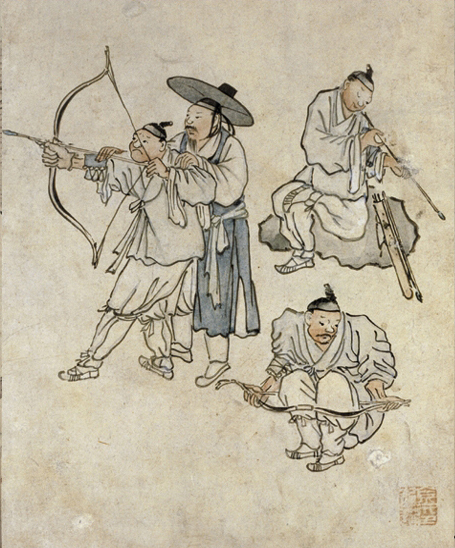 The first written work that mentions archery in Korea is from the first century BCE. Korean traditional bows fall into the Recurve category of bows, meaning that the whole bow curves away from the archer forming a C or even an O shape when unstrung. The advantages include being maneuverable, easy to carry, and being faster than other bows with the same draw weight (how hard it is to pull back) and length (how far back you have to pull the bowstring.) They are sometimes called reflex bows because of their extreme curve back upon themselves. Bows in this family are often called horse bows or hunting bows. Korean traditional archers used thumb rings to protect themselves from injury when loosing the arrow, and they shoot from the right side of the bow. The bow you see in Robin Hood movies is a Longbow and was popular in medieval England, while the standard Recurve bow was used by the Mongols among others. You can obviously hunt with all bows, but some types have proved better for different uses. The English Longbow could pierce armor at short distances and kill a man at long. 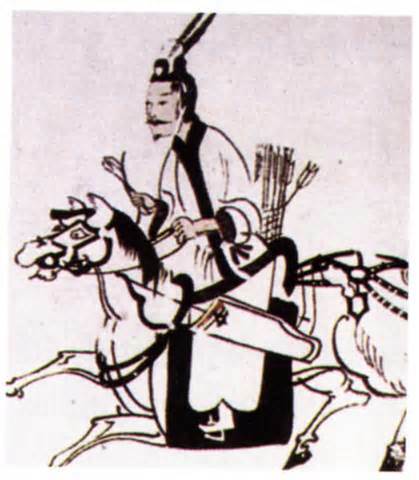 The Mongol bow was mostly used from horseback. The Ancient Egyptians, and others, used archers in chariots, while archers on war elephants were used by both the Indian and Assyrian armies. The Korean bow was used both by foot and mounted soldiers, as well as on warships, and proved effective for all these uses. Modern bows are usually classified as Compound bows. War of the Arrows Movie. 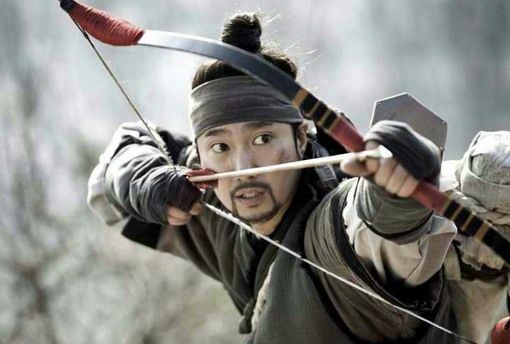 Numerous Korean Kings were renowned for their archery skills and archery was seen as an essential skill for a gentleman. It was one of the Six Noble Arts in China and this idea was also prevalent in Korea, particularly for those who followed the ideals of Confucius since he had once been an archery teacher. During the Joseon Dynasty (1392 CE – 1894 CE) archery was an integral aspect of the National Service Exam to enter public service. Over time there were advancements in Korean archery and the pyeonjeon was a particularly useful development. It was a little arrow that used a tongah or a partial tube of bamboo as an arrow guide. By using this the arrow went a long distance and had good penetrating force. The pyeonjeon was used successfully against the Japanese in 1592 and the Manchus in the early 1600s. Under King Hyojong (1619-1659) there were attempts to revive horse archery, which had seen a decline, not only for military use, but also for pleasure and for health benefits. Many people took up archery as a recreational sport in which even certain women could take part. Even after guns came into use archery was still used by the Korean military up until the reforms of 1894. Under many conditions archery was still a feasible option for the Korean military up until that date. When Korea opened to the West things changed dramatically. In this fantastic 18th century painting by Kim Hong Do you can see how archery continued to be a popular pastime, although it was Emperor Gojong (1852-1919) who oversaw the complete transformation from a military skill to a fully recreational sport. This time period saw the basics for the modern sport develop. Bows and arrows were standardized as were target distances, and number of arrows shot for each round. There are numerous traditional archery ranges in Korea and archery is still popular with Koreans, if not as a participatory sport then as a viewing and emotional one. Koreans are extremely proud and protective of their national and traditional sports. In 1971 the art of traditional bow making was declared a part of their Intangible Cultural Heritage. Olympic athletes use modern recurve bows, however many of the younger generation and archers around the world use modern compound bows. Debate continues among the advocates for each style of archery although I must admit I have a fondness for the more traditional styles. I particularly enjoy watch horse archery competitions and am glad to see a resurgence of that aspect of archery. The Hungarians and South Koreans are both known for being great horse archers, although in recent years the sport has caught on in other countries such as Australia and competition has become fierce. If you ever get a chance to watch it is a lot of fun. You may also enjoy Horseback Archery in Korea, Tuho, and Ssireum. All photo credits to original owners. Where I found them in order. BBC.com for Women’s team photo. Kdrama Empress Ki. MBC. My photo from Korean National Museum. 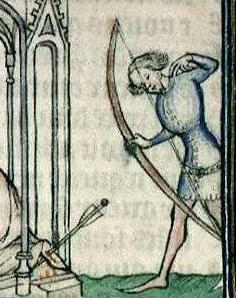 Medieval Longbow on Pinterest. Mongolian archer 15th century on wikipedia. War of Arrows Movie on Pinterest. Kdrama Sungkyunkwan Scandal. Horse archer Pinterest. Artist Kim Hong Do. ← Bibim Guksu: Korean Cold Spicy Noodle Salad.